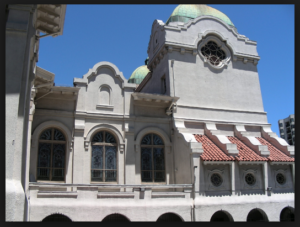 I must have passed by the Islamic Cultural Center of Northern California in Oakland many times, but never noticed it. 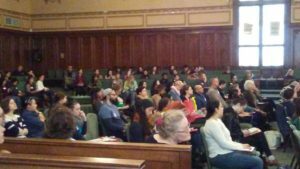 This center was the site for a Sanctuary Education conference held in Oakland on a Saturday in February. 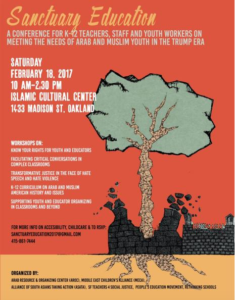 The conference, for K-12 teachers, staff, and youth workers, was organized by a coalition of groups, including the Arab Resource & Organizing Center (AROC: http://araborganizing.org/), Middle East Children’s Alliance (MECA: https://www.mecaforpeace.org/), and the progressive educator magazine, Rethinking Schools (http://www.rethinkingschools.org/index.shtml). It was designed to address the needs of Arab and Muslim youth in these often-contentious times. 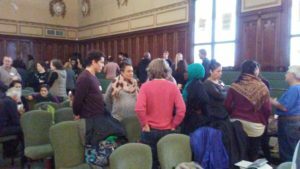 Approximately 200 people attended the conference. They came from a wide array of ethnic backgrounds (e.g., Middle Eastern, Black, Latino, Asian, South Asian, and Caucasian). Participants work in many places, including East Oakland. According to organizers, hundreds more wanted to attend the conference, but there wasn’t space for them. 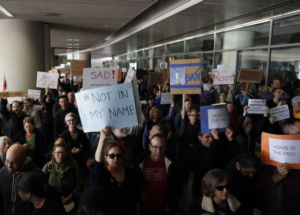 When participants arrived, conference security volunteers wearing pink armbands and members of the Muslim community greeted them at the entrance to the property. Inside, conference attendees picked up folders in a wood-paneled hallway that was carpeted with beautiful Iranian rugs. Books for children about Islam, Arabs, and the Middle East were for sale (e.g., Rukhsana Khan’s Muslim Child: A Collection of Short Stories and Poems). 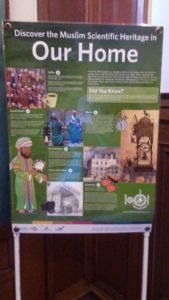 On the walls hung posters about the contributions of Muslims, such as Discover the Muslim Scientific Heritage in Our Markets, and addressed questions that are often asked of Muslims, such as How Does Islam Elevate the Status of Women and Is Islam Tolerant of Other Beliefs? The conference began with a general session held in a large, beautifully wood-paneled, white-domed room with seats down the middle and on three sides. Burgundy-colored drapes hung behind a slightly-raised dais, on which sat four students, members of a student panel. Lara Kiswani (AROC) welcomed attendees and asked, “What does it mean to protect our students?” “It’s good we’re starting, but it’s just a beginning,” reminded Jody Sokolower of Rethinking Schools. The students on the panel then shared their experiences. “I’ve always been a minority because I’ve never been in a school with a lot of Muslims or Arabs. 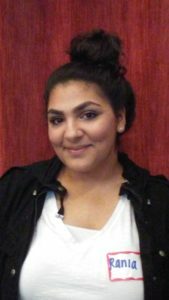 I’ve felt discrimination, like when I’ve seen MUNI bus ads promoting anti-Palestinian feeling,” said 16 -year-old Rania, whose family is Palestinian. This feeling of being alone was shared by other panelists, who commented on the lack of attention paid to their Middle Eastern and Muslim cultures and religious backgrounds in school. “Our culture is based on brotherhood and I didn’t have any of that because I was isolated,” said Abdul, who was the only Algerian at his high school. “It pushed me to learn English and learn about other cultures. I was surrounded by many Latinos and I shared some things with them. Soccer. The struggle.” He came to the U.S. about five years ago and is now attending San Francisco State University. Nader came from Yemen about four years ago and he talked about how he was mistreated and questioned when he arrived in the U.S. “They asked me a lot of questions. About my videos. My camera. Why they do that for me? Because I’m Muslim? 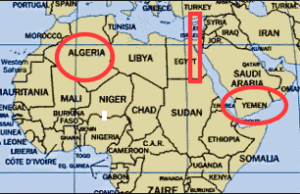 Because I’m Arab? Why they treat me like this?” Nader asked. “Did you see yourselves in textbooks?” asked the moderator of the student panel, Sharif Zakout, AROC’s Youth Program Coordinator. The other students agreed. 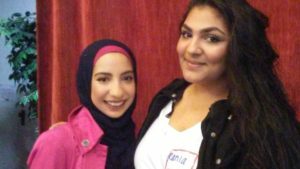 “Palestine is never talked about and when it is, it’s about Israel,” said Rania, underscoring how a people and a history can be so easily misrepresented and ignored. Nora shared an experience she had in high school when she was excited to learn that they would read a book whose protagonist was Middle Eastern. However, it turned out that the main character was a terrorist. When the moderator, Zakout, asked what would help and what teachers should do to make school a safe place, the students had lots of suggestions. The students were asked what their thoughts were about the new president. “No-one feels safe,” Nader said. However, Rania pointed out that this attack on Middle Easterners, Muslims, and immigrants didn’t start with the new president. “There were more deportations under Obama and he bombed East Africa,” she reminded audience members. At the end of the student panel, Nora commented on how anger can be transformed into something positive, and made a request of teachers: “You need to encourage anger, anger that is channeled into activism, that leads to positive change.” Rania appealed to the audience to look out for students like her: “You guys have our futures in your hands, so take care of it,” she said. One of the great joys of the classroom is learning about other cultures, and ways of life. Teachers should not be hampered by being forced to “teach to the text” when they have a wealth of diversity in the classroom itself. Allowing students to share their experiences of diversity is far more enriching than a textbook. Courage, teachers! Open your hearts and use your best judgement!